Ben's Journal: Most Unhelpful Political Messaging. Ever. Let me get this straight, the party that assisted (or perhaps, engineered) shutting down the government, almost caused the US to default on its debt and has championed total gridlock in congress to insure *nothing gets done* for two presidential terms, has no power? And how does telling folks that their opponent is imaginary encourage people to come out and vote? To be fair, the inside of the mailer talks about how Patrick Hope is going to "stand up" to the Tea Party, which is a different message than saying the Tea Party isn't real. 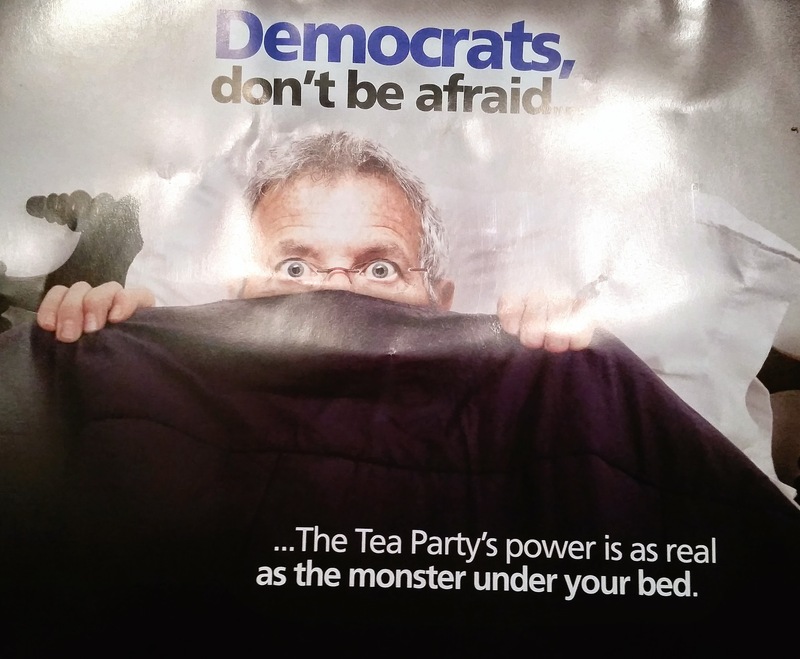 With mailers like these it's no wonder Democrats get trounced in mid-term elections.